Centigrade helped create a Bentley Motors unique lifestyle experience for customers and prospects during the Pebble Beach Automotive Week. We took a luxury vacation home located next to the Lodge at Pebble Beach and strategically redesigned the interior and exterior to represent the style and brand of Bentley Motors. 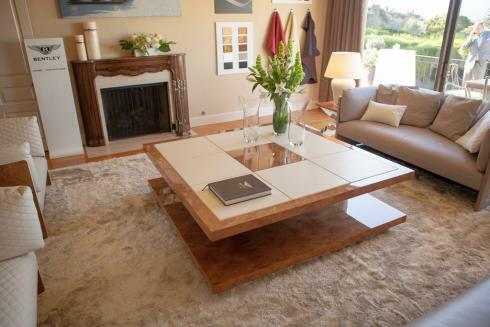 Custom Bentley Motors furniture, created by Club House Italia, was placed throughout the home. Accessories from Bentley Motors and Crewe were used to style the home and a commissioning wall was installed to highlight the Bentley bespoke options. The exterior included a timeline tribute to the Le Mans Series and Bentley Motors victories. Test drives were conducted from the Home of Bentley throughout the week, along with outstanding guest hospitality and media dinners.